Wanting to spend a romantic Valentine's Day weekend with your sweetheart? Whether you're booking for this year or want to skip the crowds and surprise your date with a reservation for a future getaway, you're in luck. 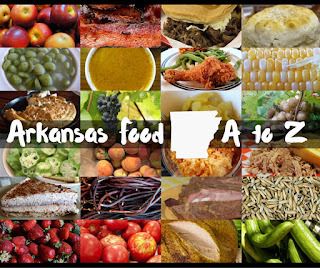 Check out these neat places all over Arkansas where you can relax, unwind and enjoy quality time for two. An English Cottage for two? Certainly. 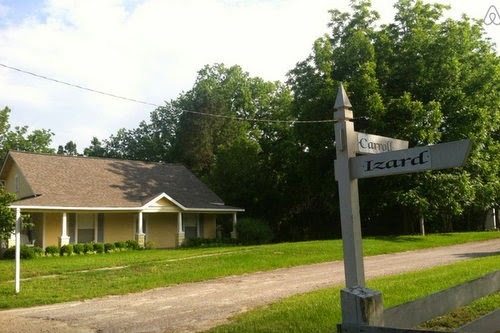 Located in rural Boone County, this adorable abode in Oak Front Acres is surrounded by lush English gardens. It has a full kitchen, too, and it's not too far from town. It's also relatively close to the Buffalo National River, so consider getting up early to go view the elk at Ponca. Ever stayed in a firehouse? In Cotter, you can actually overnight in this huge 1906 firehouse that's been renovated and updated from top to bottom. Cotter's on the White River, and February's an excellent time to catch large trout... see an explanation, here. 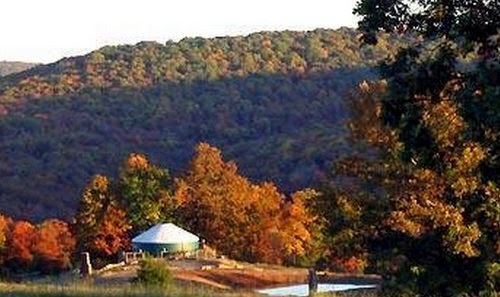 Stay in a yurt. 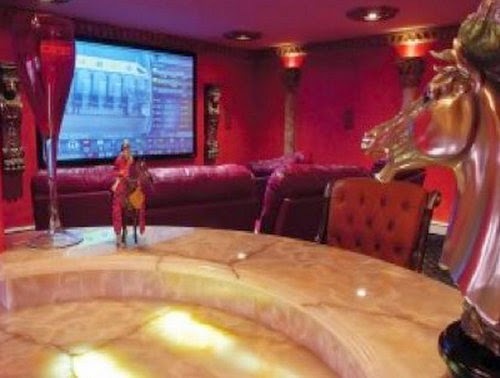 Yes, a yurt is a tent, and it's February, but this is one of the most tricked out yurts I've ever seen. 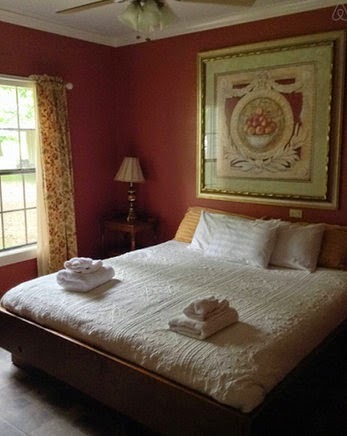 The Sanctuary Suite at StoneWind Retreat is near Garfield, to the west of I-49 in the Boston Mountains. Follow one romantic story with your own in Piggott. Stay at Rose Dale Farms, a historic farmstead just outside of town, where you can enjoy the entire house for the weekend. While you're there, visit the Hemingway-Pfeiffer Museum and Education Center, and see where Ernest Hemingway slept, ate and wrote a portion of A Farewell To Arms. Walk the steps of Andy Griffith, who filmed A Face In The Crowd in the tiny northeast Arkansas town. Downtown Fayetteville and Dickson Street have become hot options. There's always something going on, and the area is full of great restaurants. Consider renting an apartment right on Dickson, reserving a condo by the Walton Arts Center, checking into a Mount Sequoya retreat, or booking a room at the Chancellor Hotel. If your sweetheart is an art lover, a visit to the Crystal Bridges Museum of American Art is essential. And, how cool is this? It's free. You can choose to stay at the ultra cool 21c Museum Hotel -- which is offering a smorgasbord of special Valentine's Day packages. Or select a nice cottage a block from the downtown square. Head to the coolest place in the state, literally! Gilbert is known for usually having the coldest temperature around. It's secluded and small (with just two city streets) and it hugs the Buffalo National River. Check out this old farmstead in town. Love to get away from it all? 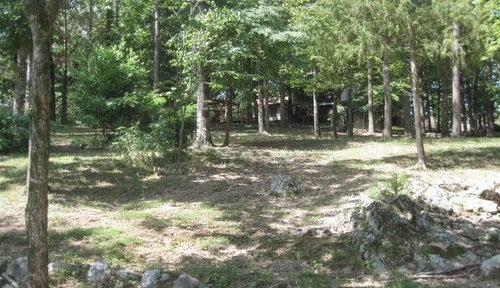 This rustic homestead near War Eagle has been updated, and sits way back on an extended driveway into the woods. No one will know you're home, so if seclusion's what you want, this one's a good choice. And it's close to War Eagle Mill. There's also this Caddo Gap cabin overlooking the river, far from civilization. 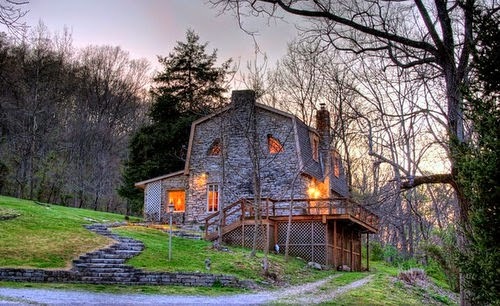 Or how about this two story, two bedroom cottage along the Mountain Fork River near Mena? 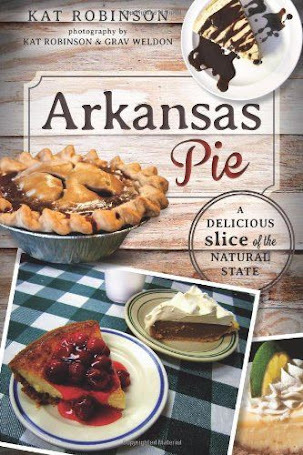 You can even choose to sleep in a cedar bed in a cabin alongside the Caddo River. 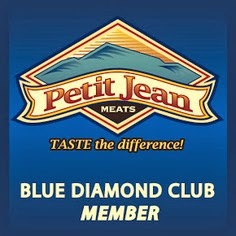 Lots of people know about the big lodges and cozy cabins at state parks such as Petit Jean, Mt. Magazine and Devil's Den. But did you know that there are cabins for rent on the Ouachita River in south Arkansas? Check out Moro Bay State Park -- which, as of this writing, still has accommodations available for Valentine's weekend. 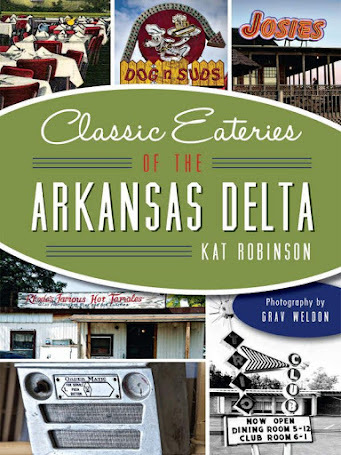 It's not far away from El Dorado, which has lots of dining and entertainment options. 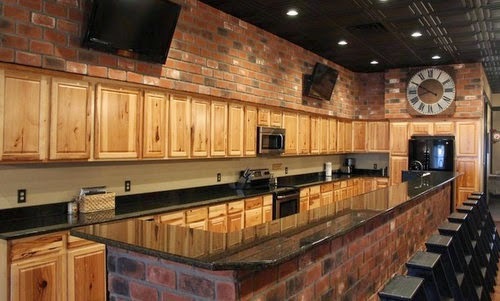 But if you want to take your own food, cabins at Moro Bay come with a full kitchen. 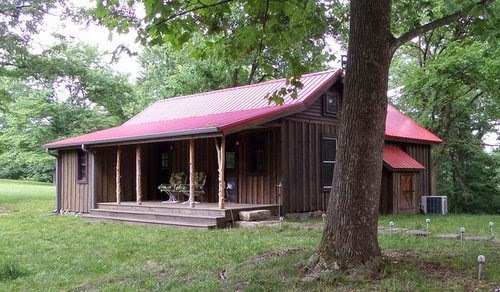 The Ozark Folk Center's artisans take a break during the winter months, but the park's Dry Creek Cabins are available year-round. They're affordable, too -- at $72-77 a night for a cabin with two queen beds (the cabins are duplexes clustered in groups of three). Best of all, there are Valentine's Day specials that include a show and a plated dinner at The Skillet Restaurant (with choice of crab-stuffed salmon or prime rib) and a night in a cabin for just $199. 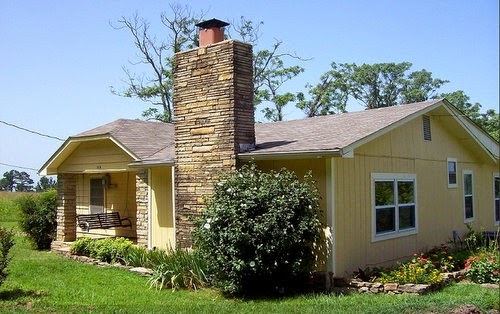 Mount Magazine State Park's lodge and cabins are already completely booked -- but if you want to stay nearby, there's the Johnson Farmhouse, a 1200 foot yellow house five miles from the park and not close to anything much else. 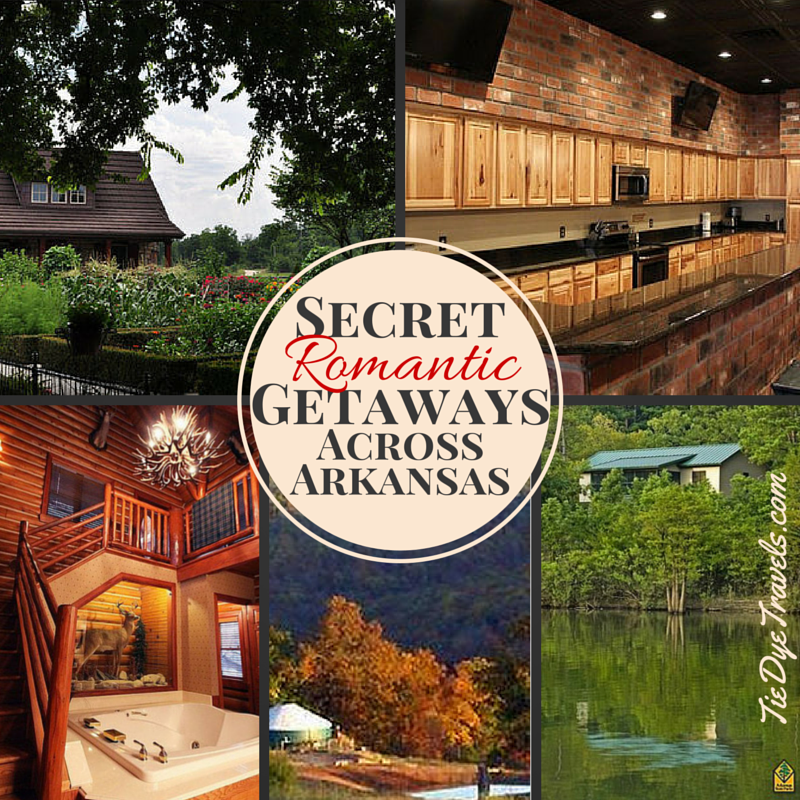 If you travel with other couples and want to make a weekend of it, consider a cabin at Lake Ouachita State Park near Hot Springs. Close enough for a run into town for dining, shopping or the races, yet tucked into tranquil forest alongside the largest lake in the state. Three bedroom cabins are still available. 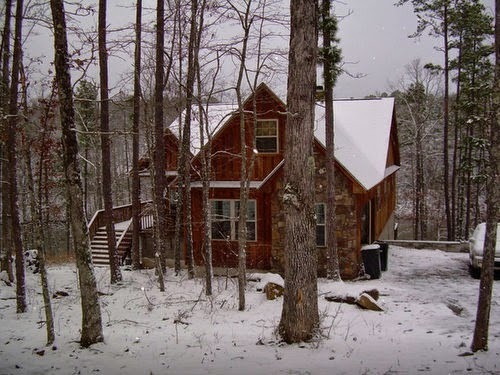 Another group choice close to Greer's Ferry Lake on secluded Lake Moore is the Engedi Lake House, a five bedroom, three and a half bath log cabin out in the woods. This place can hold up to 14 people, and has a big roaring fireplace, full kitchen and lots of room to spread out. There are other hideaways for groups of couples still open for the weekend, such as this cabin near Quitman, this secluded home near Mt. 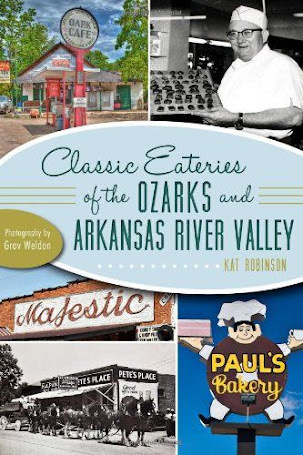 Nebo, the Old Turner Home in Russellville, this historic home in Fayetteville, the Blue House on the Bluff near Calico Rock, the Waltz Inn up in Cherokee Village, or this gigantic Mount Judea cabin in elk-watching territory. 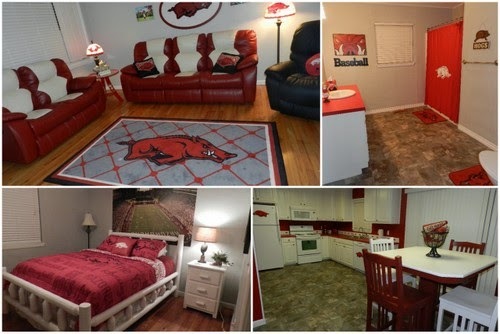 And then there's this entire five bedroom home decorated in Arkansas Razorbacks. Even the kitchen. And the bathroom. 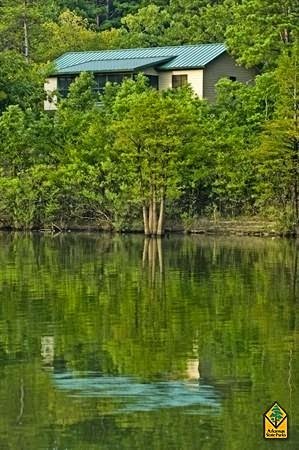 Or this entire 7000 square foot Italianate Villa on Lake Hamilton that I'll never be able to stay at because there's no way I can afford it, but of course I can ogle like everyone else. 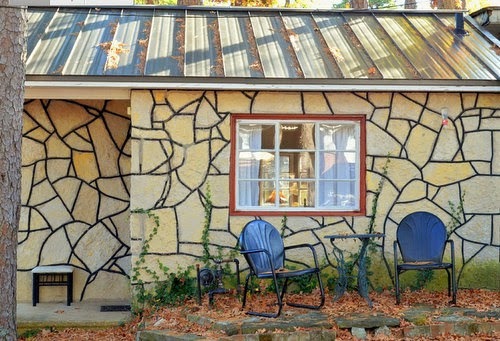 There's just one cottage for rent in the tiny burg of Washington, near Hope, and that's Grace Cottage. 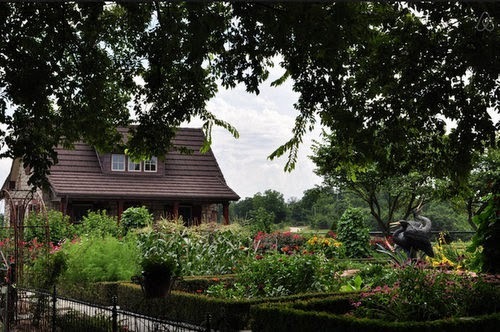 Located within Historic Washington State Park, it's just a couple of blocks from Williams Tavern Restaurant, which happens to be hosting a Sweetheart's Dinner both Friday and Saturday of Valentine's Day weekend, for just $70 a couple. 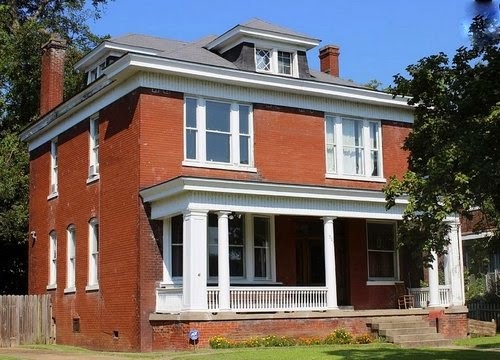 Grace Cottage is an entire two bedroom house on park, and a great place to stay if you're interested in learning about Arkansas History. More crazy places... stay in a(n alleged) former brothel in Helena-West Helena, birthplace of the blues. The Mark Twain Guest and Flop House may not be the Ritz, but it is reasonably priced. Stay at a duck lodge. Really! Since duck season is winding down, these properties are opening up. Here's one south of Helena-West Helena, not far from the Mississippi River. You're probably wondering why I haven't gotten to Eureka Springs yet. 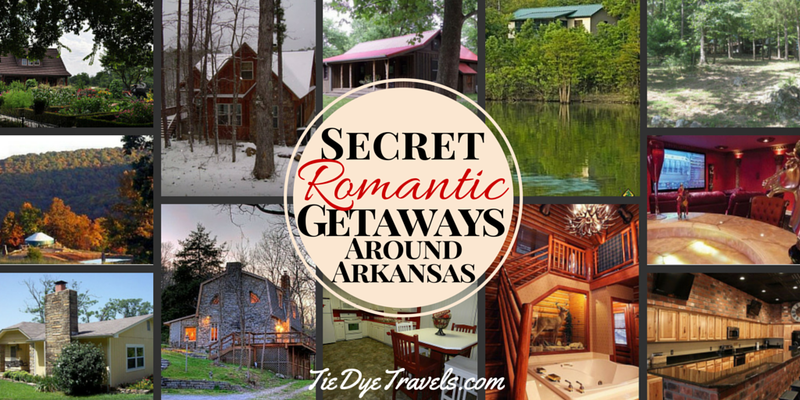 After all, is it not the most romantic spot in all of Arkansas? Yes, it is, and a lot of people already know that -- which is why many of those great bed and breakfasts and stunning hotels are already sold out. But here are a few that have availability: The Main Street Inn, Ridgeway House, Cliff Cottage Inn, Rock Haus, and the Eurekan Inn. Go back in time and spend the weekend at this cottage behind the main office at the Retro Joy Motel. If you like hunting and the outdoors, you can't beat this really cool cabin called the Mountaineer at Cinnamon Valley Resort. 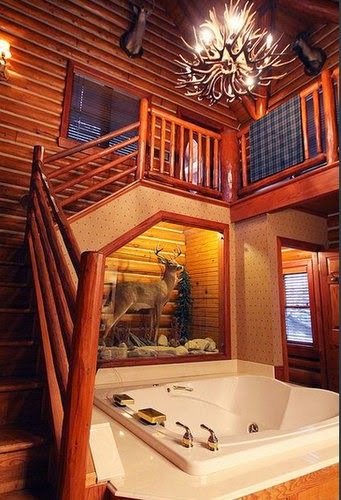 I mean, where else can you bathe in luxury underneath a deer antler chandelier? Now, if you've fiddle-faddled around and missed out on these opportunities, you may just be out of luck. Of course, there are national chain hotels and all sorts of places I've probably missed... but consider this -- Valentine's Day is busy. There are a lot of people out there. Why not enjoy a weekend at home and plan for a big adventure when the hot spots aren't crowded? The 1886 Crescent Hotel in Eureka Springs is a great choice for this. Booked up for Valentine's Day months in advance, it offers special Just For The Two Of You specials for the last two weekends in February. Well, there are suggestions for you. Hurry up and book yours -- before it's gone! Unless specified, the images in this article are from the websites listing these properties. Do NOT stay at Helena-West Helena unless you want to be shot by thugs! My family is originally from there and it is horrible! its dirty and full of crime. Yes it is a historic Civil War area but the thugs have pretty much destroyed it. Not worth it and has not been worth visiting since the 1970's.